On October 30th, 2018, the Internal Revenue Service announced 2019 cost-of-living adjustments applicable for qualified retirement plans and IRAs. Most plan limits will remain unchanged because the increase in the Consumer Price Index did not meet the thresholds for their adjustments. Latitude is pleased to provide this table for your convenience. Latitude Retirement is a third party retirement plan administration firm specializing in quality retirement plan administration. Our regional leadership and consulting teams serve over 2,500 plans. We manage plans as small as 1 participant to plans as large as 1,000. Latitude Retirement is the unified realization of Niles Lankford Group (NLG), Pension Systems (PS), Retirement Systems of Arizona (RSA), and Retirement Systems of California (RSC). 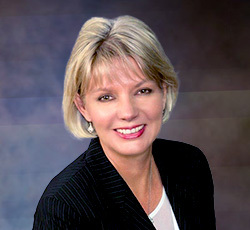 Martha Phillips is a Pension Consultant for Retirement Systems of California (RSC). Martha began working in the retirement plan industry in 1984 administering Defined Benefit and Defined Contribution plans for a small TPA firm in Southern California. In 1994 she moved into a departmental leadership role of plan administration and client relationship management for an Investment and TPA firm. She joins RSC with detailed knowledge in areas of plan design, drafting of plan documents, complex administration associated with combined Defined Benefit and Defined Contribution benefits testing and operational compliance. Martha is a member of the American Society of Pension Professionals and Actuaries (ASPPA) and an Enrolled Retirement Plan Agent (ERPA). Martha is a graduate of Cedar Crest College in Allentown, PA. Martha lives in Simi Valley, CA and has two sons (Tyler and Cameron) who live away from home. She enjoys traveling, gardening, and spending time with family and friends. Clint is the National Director of Marketing for Latitude Retirement and is responsible for coordinating the sales efforts of our Retirement Plan Consultants across the country. Clint began working in the financial services industry with Fidelity Investments where he worked with both retail clients and corporate retirement plans. In 1995, he joined a small TPA (Third Party Administration) firm which was acquired by Nationwide Financial. Clint continued to work for Nationwide until he joined Latitude Retirement as a Retirement Plan Consultant for Ohio and Kentucky. Clint completed his undergraduate studies at the University of Cincinnati with a Bachelor of Arts in Economics. Currently, he is an Adjunct Professor at his alma mater teaching a course in Personal Finance/Economics. Clint and his wife Julie live in Cincinnati and their daughter Merritt attends Ohio State University. He is a member of the Finance Committee at St. Mary’s Church, enjoys golfing and is an avid auto enthusiast. 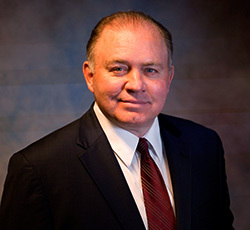 Scott is a Retirement Plan Consultant for Latitude based in the Los Angeles and Phoenix offices. He works closely with financial advisors, insurance professionals and accountants helping them develop and design retirement plans to satisfy the needs of plan sponsors and their employee’s retirement outcomes. By partnering and consulting with our clients, Scott supports their sales, marketing and service efforts; thus, increasing their production and Qualified Plan business. Scott has been in the financial services industry since 1988 and has specialized in retirement plan consulting for over 20 years. Over that time, he has spent his career with leading companies in the business such as, Schwab Institutional, Citibank, Travelers and MetLife. He has been responsible for developing new business, forging strategic partnerships and promoting innovative product initiatives for Latitude since 2014. Scott graduated from Arizona State University, with a Bachelor of Science in Finance. He is also a member of the American Society of Pension Professionals and Actuaries (ASPPA), earning a designation as a QPFC. Scott and his wife, Tammy reside in Moorpark, CA and have a son and daughter both attending college. His hobbies include cycling, skiing and wine tasting. Brad Lankford is the President and CEO of Latitude. 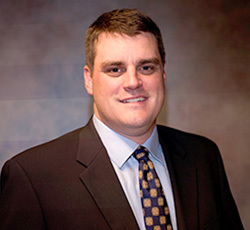 Brad also serves as a Consulting Actuary and Retirement Plan Consultant. He maintains offices in both Woodland Hills, CA and the corporate office in Plymouth, IN. Before Brad joined Niles Lankford Group, he worked as an actuary in Indianapolis then eventually moved to Plymouth, IN where he provided actuarial consulting services to insurance companies, accounting firms, and other pension administration firms. Brad was one of the founding members of Niles Lankford Group, now Latitude, in 1989. 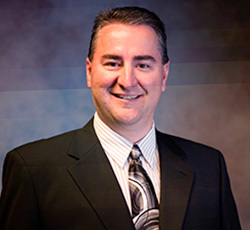 Brad has served in the past as Latitude’s lead actuary. As President and CEO, Brad assists other Latitude consultants on complex cases, and manages the firm’s corporate affairs. Brad resides in Plymouth, IN and Las Vegas, NV. His hobbies include golf, baseball, sports cars, and great literature. Debbie Norrell is the lead Pension Consultant and the Office Manager for Latitude Retirement’s office located in Phoenix, Arizona. 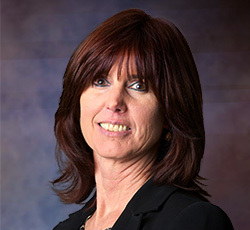 Debbie has worked in the financial services industry since 1992. She has held Pension Administrator and Manager positions in Tucson and Minneapolis. She also spent six years working at a Financial Advisory firm in the Minneapolis area where she was Securities licensed. Debbie returned to Arizona in 2014 and provides support to Advisors locally in marketing and sales. She also works closely with our clients establishing and designing retirement plans and coordinating the entire onboarding process from documents and contracts to assisting HR personnel with processes for day to day administration. In addition, she is the Operations Manager of our growing 3(16) Payroll Integration service. 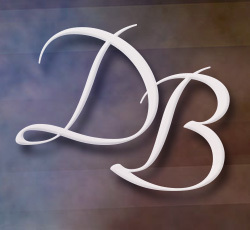 Debbie graduated from Duluth Business University and has obtained the Qualified 401(k) Administrator (QKA) designation. Debbie has two sons and two grandchildren. In her spare time, she enjoys playing the piano, golfing, dancing, traveling and spending time with family and friends. Brian Chupp is a Pension Consultant for Latitude Retirement and is based in our Plymouth, IN office. He originally joined our firm in 2006 as the Director of Administration. In this position, Brian was responsible for all Administrative staff including Distributions, Payroll processing and all Plan Administrators. Beginning in 2009, Brian transitioned into the role of Pension Consultant for the northern Indiana and Chicagoland areas. Prior to joining the firm, Brian worked as a 401(k) Plan Administrator with AUL/One America in Indianapolis, IN, and with Great-West Life/Empower in Denver, CO. Brian has over 20 years of experience in 401(k) plan administration, management and recordkeeping systems quality assurance. As a Consultant for Latitude, Brian focuses on business development and maintaining client and advisor relationships. Brian completed his undergraduate studies at Manchester University in North Manchester, IN, where he earned a Bachelor of Science in Accounting. Brian is a member of the American Society of Pension Professionals and Actuaries (ASPPA). Brian lives in Plymouth with his wife Jane and their two children. His hobbies include golf, skiing and watching his children participate in sports. Keith Pyle is a Retirement Plan Consultant for Latitude and is based in our Indianapolis, IN office. Keith joined the firm in 1990 working with defined benefit/actuarial services. 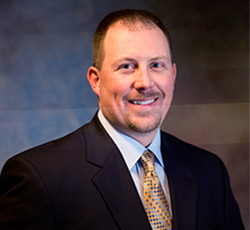 After attending law school and practicing in the field of Employee Benefits with a prominent law firm in Indianapolis, Keith rejoined the firm in 2002. As a Consultant for Latitude, Keith advises clients on all facets of plan design and administration. Keith focuses on business development and maintaining client and advisor relationships. Keith also heads up the fiduciary services area for Latitude. Keith completed his undergraduate studies at Indiana University, Bloomington, where he earned a Bachelor of Science in Mathematics. He earned his Juris Doctorate at Indiana University Robert H McKinney School of Law – Indianapolis. Keith is a member of the Indiana Benefit Conference and is a member of the Indiana State Bar Association. Keith lives in Indianapolis with his wife Cris where his hobbies include motorcycles and volleyball. Based in Columbus, OH, Mike Gossard is the Pension Consultant responsible for Sales and Consulting in the Northern and Central Ohio region for NLG. Mike joined NLG in 1995 as a retirement plan administrator working on both Defined Benefit and Defined Contribution Plans. In addition, Mike is also a part of the Actuarial Team at NLG. He is involved with complex plan designs associated with Defined Benefit and Defined Contribution plans. Mike is a member of the American Society of Pension Professionals and Actuaries (ASPPA). Mike is a graduate of Grace College, Winona Lake, IN where he played basketball. A resident of Powell, OH, Mike, his wife Keri and their three daughters, Hanna, Olivia & Rylie are members of Lifepoint Church, Delaware, OH. His hobbies include golf, basketball and Ohio State Football. Trent Newcomb is a Retirement Plan Consultant based in the Plymouth, IN office. 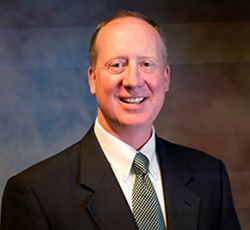 Trent joined the firm in 1998 as a Retirement Plan Administrator. Trent’s primary role is the Director of Operations for KTRADE. He still serves Latitude in maintaining client and advisor relationships. Trent completed his Bachelor of Arts in Mathematics and Business Administration from Wabash College where he also played basketball. He is a Certified Pension Consultant (CPC) of the American Society of Pension Professionals & Actuaries (ASPPA). He and wife Heather reside in Plymouth with their three children, Olivia, Jack and Kali. His hobbies include family activities, basketball and fishing. 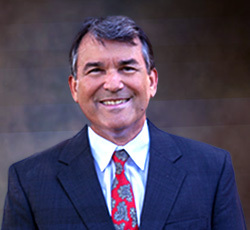 Johnny begin working in the retirement plan industry with Corporate Plan Services while still in college in 1976. He graduated that year from the College of Charleston with a Bachelor of Science degree in business administration. In 1986, he became a principal of the firm which was renamed as Pension Systems. From that time forward, he served as the company’s Vice President until the purchase of Pension Systems by the Niles Lankford Group in 2013. 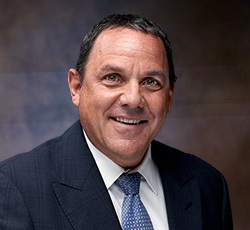 Johnny has obtained the Certified Pension Consultant (CPC) designation from the American Society of Pension Professionals and Actuaries (ASPPA) and served on ASPPA’s Examination and Education committee from 1995 through 2005, serving as Chair of the C2-DC Subcommittee from 1998 through 2005. Johnny was born in Charleston and is a lifelong resident currently residing on the Isle of Palms with his wife Tandy. They have a son, two daughters, four granddaughters, and one grandson. Don Bungenstock is a Consulting Actuary at Latitude and works out of our Cincinnati office. Don is an Enrolled Actuary (E.A.) and a member of the American Academy of Actuaries (M.A.A.A.). He has over 30 years of experience working on defined benefit plans at various employee benefits consulting firms in the Cincinnati area. Don has worked on hundreds of plans in his career, with from 1 to 10,000 participants. In addition to reviewing ERISA valuations of plans, Don is our expert on the accounting requirements of ASC 715, for those clients who need GAAP financial statements. Don is a graduate of the University of Cincinnati (Accounting) and is an avid fan of Bearcat basketball. Steve Parks is the Chief Actuary for Retirement Systems of California (RSC). Steve earned his Bachelor of Arts degree in Economics from California State University, Northridge. He began working in the pension industry in 1981. 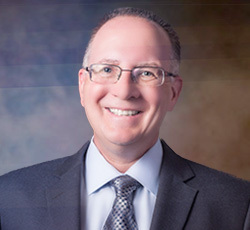 Steve became an Enrolled Actuary in 1989 and worked for several years as a consulting actuary, providing actuarial services to numerous pension administration firms around Southern California. 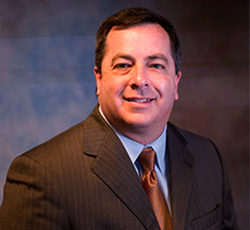 In addition to providing actuarial services to defined benefit pension plans, Steve also provided other technical expertise including IRS audit calculations and strategy, the design and compliance of more complex plan designs, divorce valuations and has acted as an expert witness in a number of court proceedings. He has also spoken on actuarial topics at numerous conferences. In addition to being an Enrolled Actuary under ERISA, Steve is a Member of the American Society of Pension Professionals & Actuaries (ASPPA). He has served on the Leadership Council for the ASPPA College of Pension Actuaries and the Conference Committee for the Los Angeles Advanced Pension Conference. His interests include music, hockey, and racing. And if he’s not at home with family or in the office, you’re likely to find him out climbing one of the local mountain roads on his bicycle.